Come and learn about wild edible plants in your neighborhood, how to identify, use, and enjoy them. 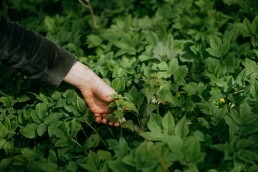 We will walk and learn how to identify and use wild edible plants, their nutritional values and history. We finish with small picnic – testing different wild plants in salads, pesto, jams, pickels, vinegars.